In college I had an old Chevy pickup truck that was cursed. For starters the rear bumper had a way of removing itself from the truck’s frame – once I clipped a wall and pulled it off, once a mechanic did the same, twice my brother did it (helping a friend move and pulling another friend off the outer beach in Chatham, Cape Cod at 4am in the morning). Another problem I had with the truck revolved around the fact that on average, a college student moves (dorm, apartment, flophouse) 130 times and with a pickup you’re everyone’s best friend. By far the biggest issue with that truck was never knowing how much gasoline i had left in the tank. The warning/idiot light would sometimes illuminate with gallons of gas remaining and sometimes with maybe a teaspoon. With exercise, proper hydration is a priority. While not equipped with an idiot light, most people know when they’re thirsty. 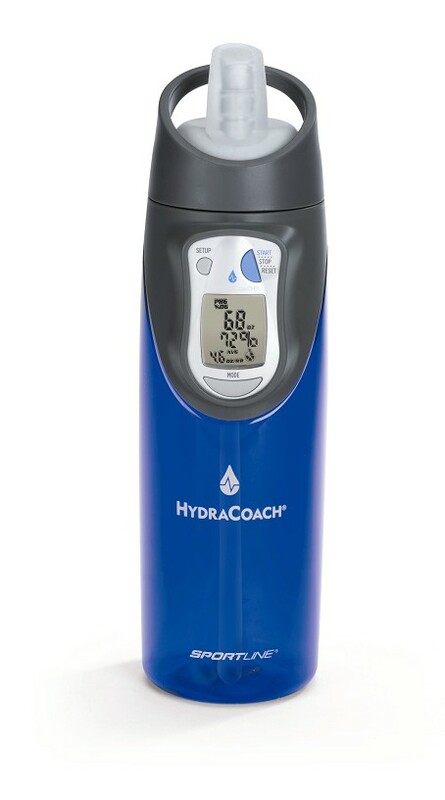 For those of you who are prone to misjudge hydration, there is help in the HydraCoach, a USD $30.00 water bottle with a built-in computer that measures what you drink and calculates when you should take another sip. For some, this product may serve it’s purpose well. For me it’s still “light pee-good pee, dark pee-thirst-ee.” I have a ritual for how much I drink before, during and after a workout depending on weather, expected exertion and distance (I guess I’ll call this the WEED principal, developed by yours truly). In college I had a few teammates who were ‘HydraCoaches’ – just a bunch of drunk lacrosse players yelling ‘Drink! Drink! Drink!’ If you find yourself constantly dehydrated and don’t have the benefit of a keg, yard and unchecked testosterone, consider the HydraCoach.